Villandro stretches from the vineyards in the Valle Isarco vie the gentle hiking area of the Alpe di Villandro up to the Monte di Villandro. 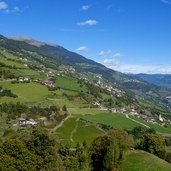 Villandro stretches on a sun-drenched mountain slope in Valle Isarco and comprises lovely localities, that is to say S. Maurizio, S. Stefano, S. Valentino. 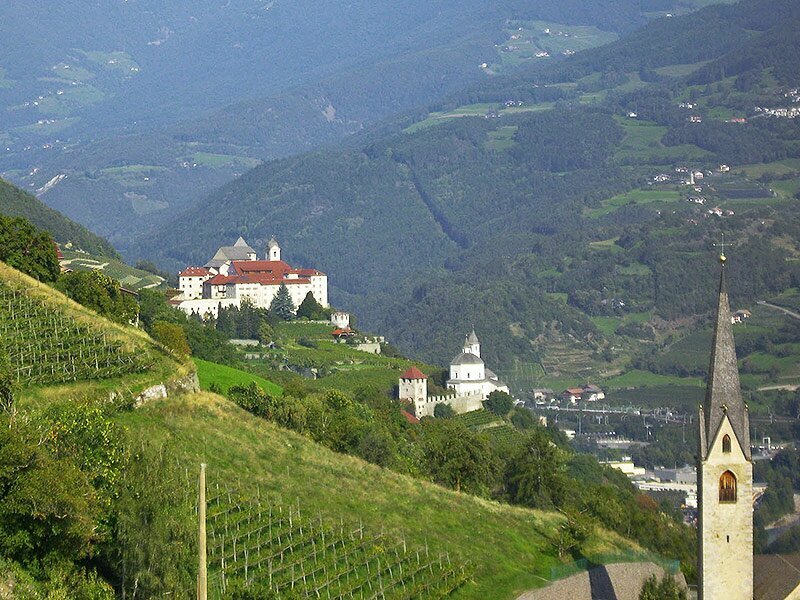 Striking is above all the natural landscape prevailing in the village, as the municipal territory stretches from the grapevines in the valley floor to the edelweiss in the mountains. Worth visiting is also the ArcheoParc, the show mine as well as the S. Stefano and Lorenzo parish church. 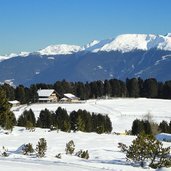 Villandro is situated on the sunny hillsides above the Valle Isarco, at the transition of the vineyards to the higher alpine meadows. 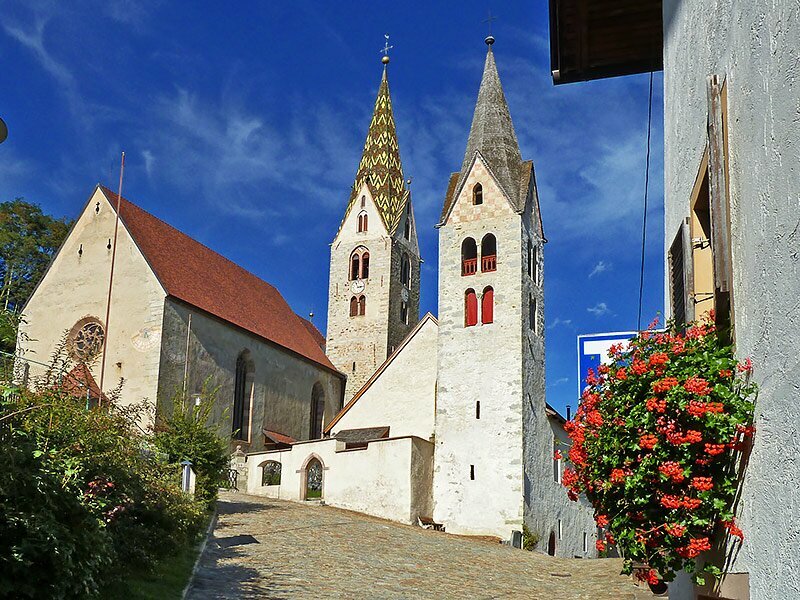 The pretty village center of Villandro with the church of St. Stephan and Laurentius and the church of St. Michael. 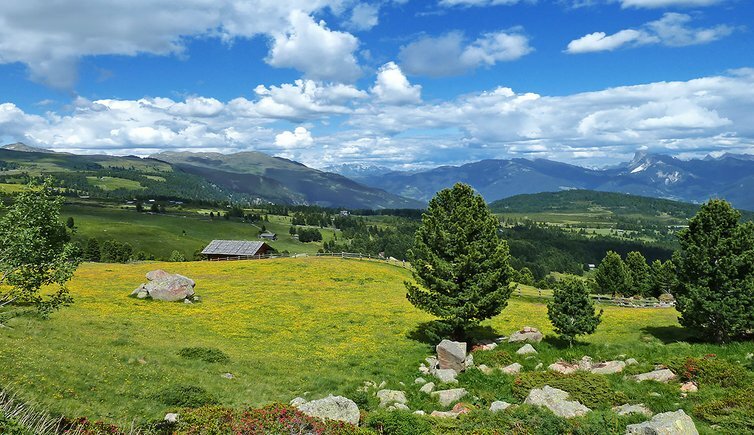 The alpe di Villandro is a gorgeous upland. 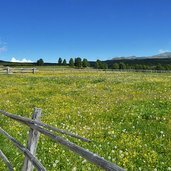 Early spring changes the landscape into a speciose sea of flowers. The cemetery chapel at the transition from Villandro to the Val Sarentino. 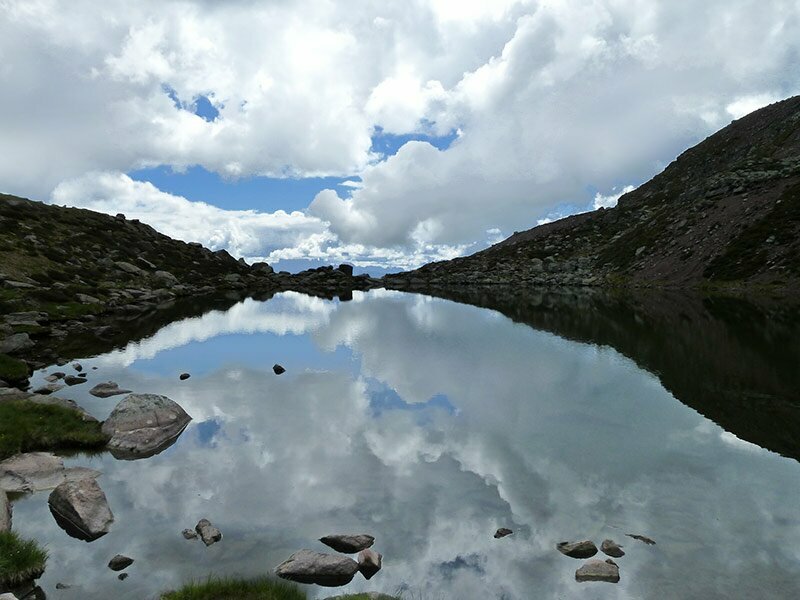 On the way to the more than 2,500 m high Monte Villandro, we pass the Lago Totensee. 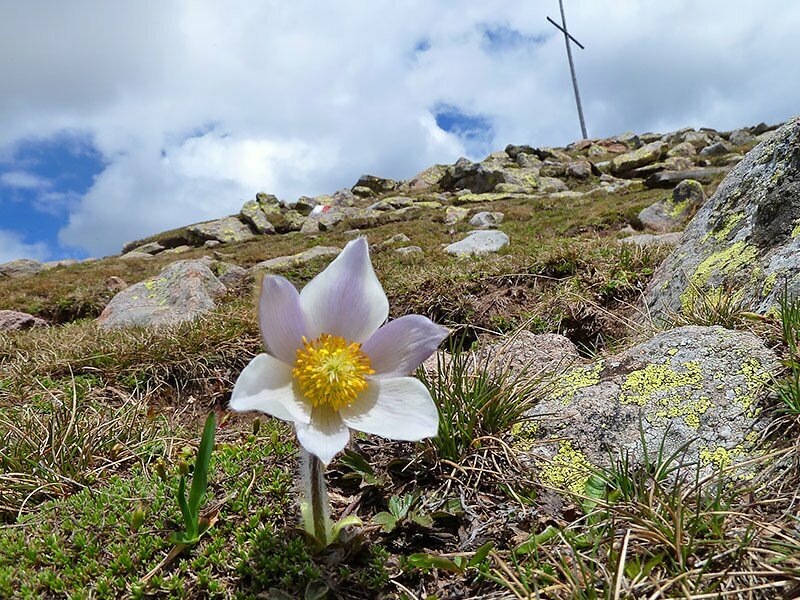 Virgin high alpine nature in the Alps of the Val Sarentino - a pasque flower blooms below the peak of the Monte Villandro. 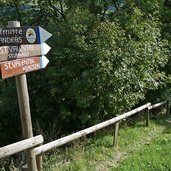 In autumn the “Chestnut Path” is a highlight between the villages Barbiano, Villandro and Velturno. Villandro is an important center for the Törggele-custom. 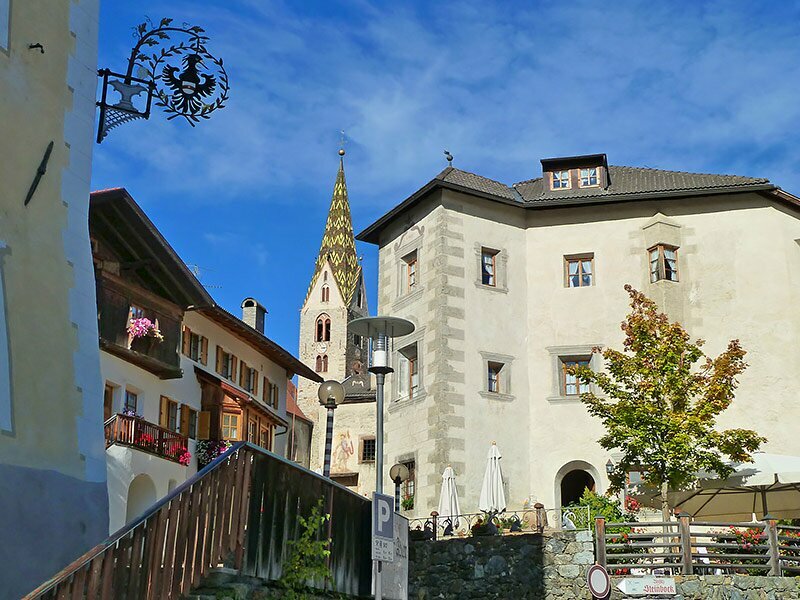 The chestnut path leads right through the village center of Villandro, past historical residences and old houses. 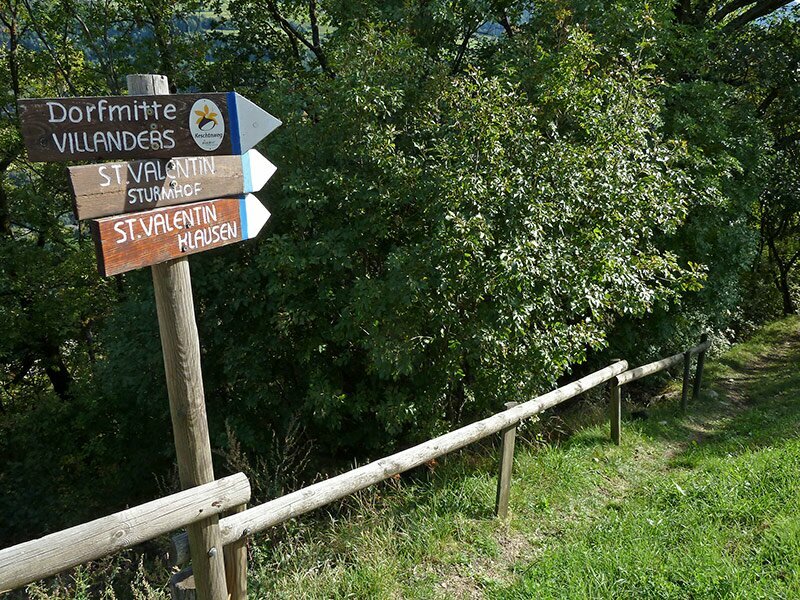 The chestnut path which is called “Keschtnweg” leads further to Chiusa and Velturno. View from the village St. Valentin to the vineyards around the Monastery of Sabiona. 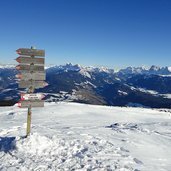 The Alpe di Villandro - a Winter’s Tale. 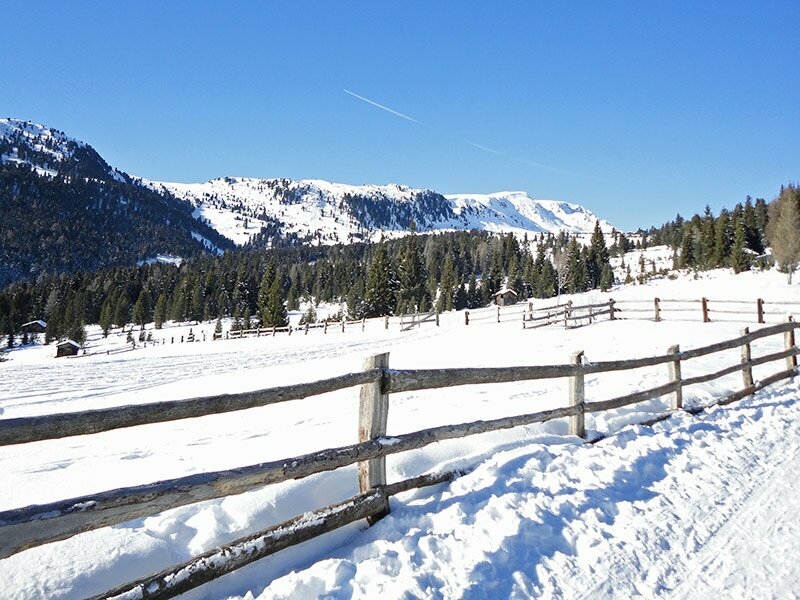 Ideal for winter hikes or snowshoe- and ski-tours. 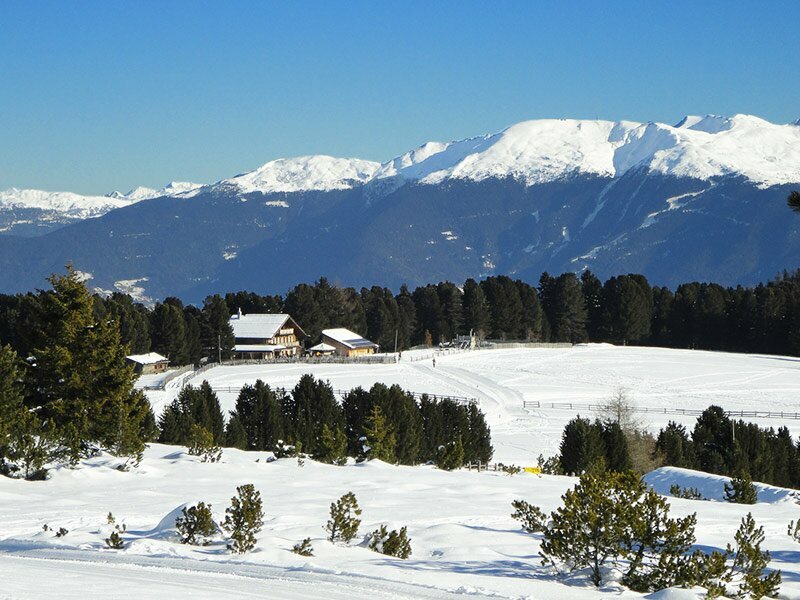 The Malga Gasser is the most used starting point for tours in the area of the Alpe di Villandro. 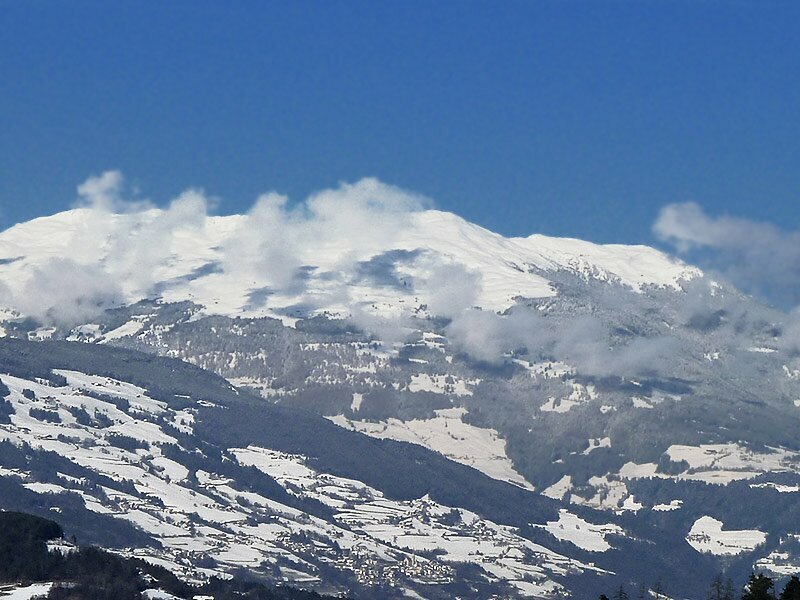 View to Villandro in winter. 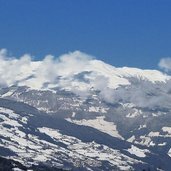 One proposal for a hike: From the Alpe di Villandro to the Corno del Renon. 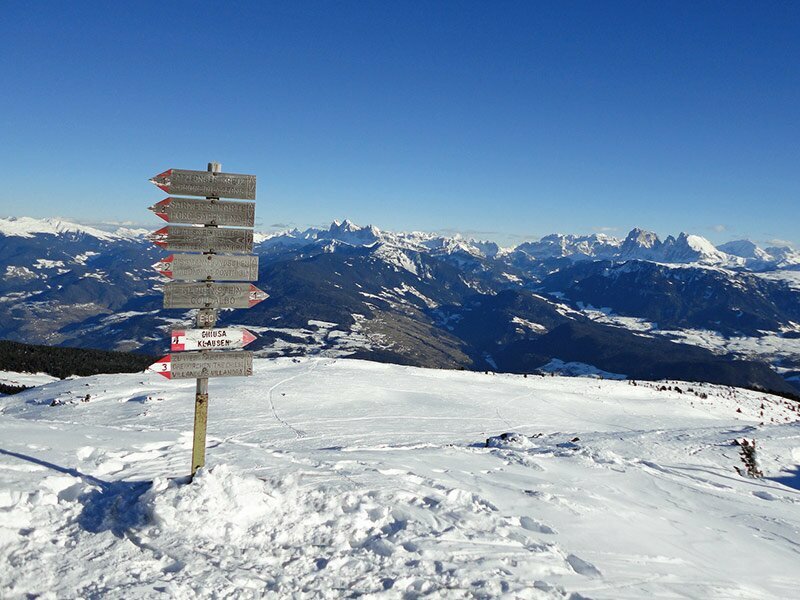 In doing this walk you can enjoy an amazing view on the Dolomites. 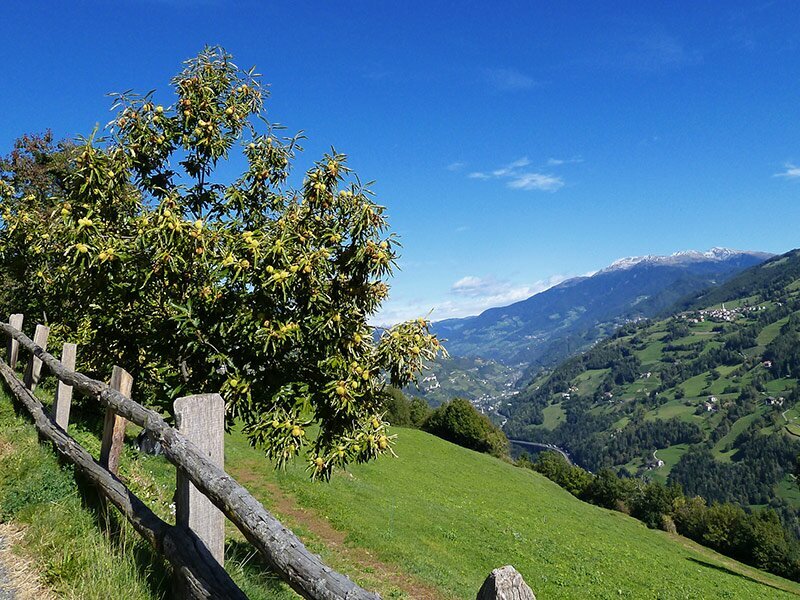 A perfect destination, for those wishing to relax after some extensive hiking, is the Restaurant Malga Rinderplatz. 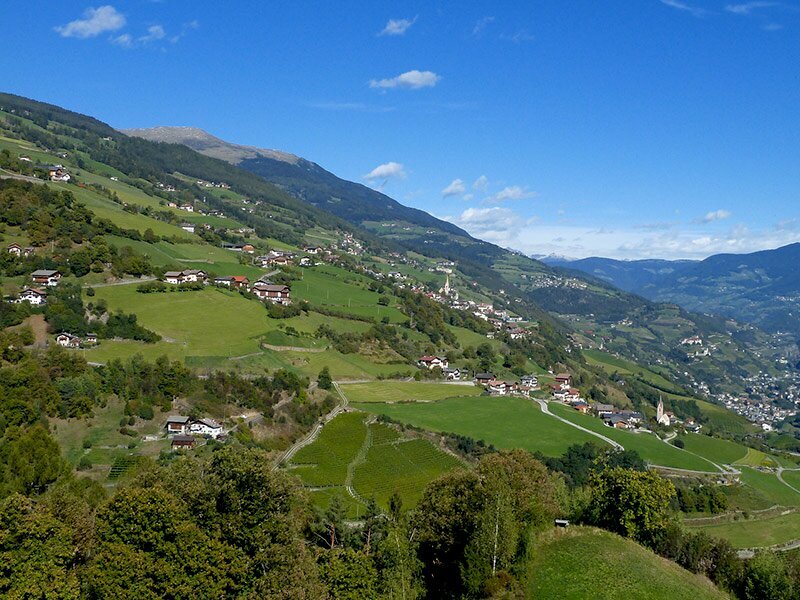 Situated in the heart of South Tyrol, it is the perfect place for beautiful views. 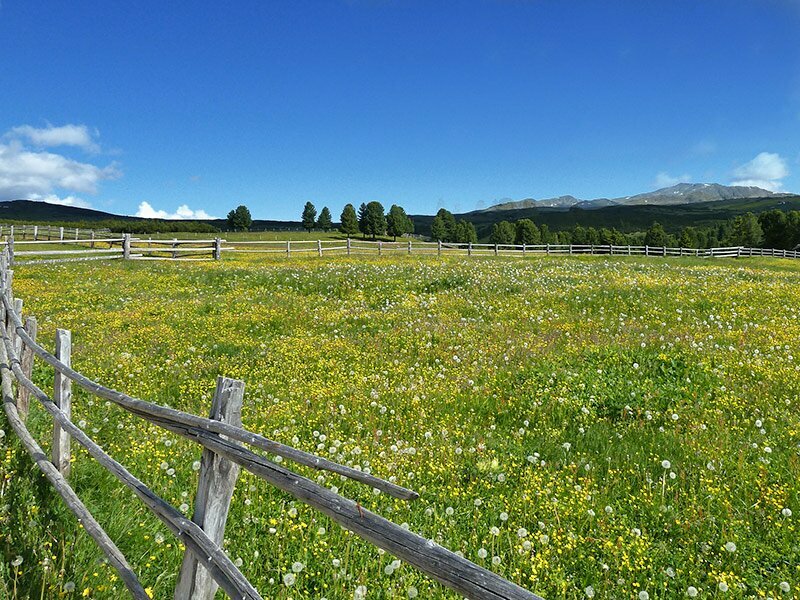 Located on the Villandro alpine pasture, the destination is a great place for children as well. Nora Felderer went there to see for herself. 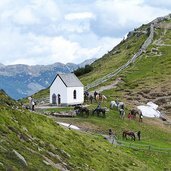 The Alpe di Villandro with its 20 km² is one of the largest high alpine pastures in Europe. 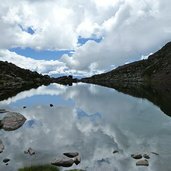 Situated between 1.700 and 2.500 m a.s.l., you will come across romantic alpine lakes, mystic moors, grass-covered hills and an amazing view. 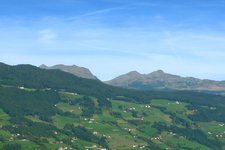 We are underway on one of the highest mountain pastures in Europe, situated between upland moors, old mines, overgrown hilltops and beautiful mountain lakes. 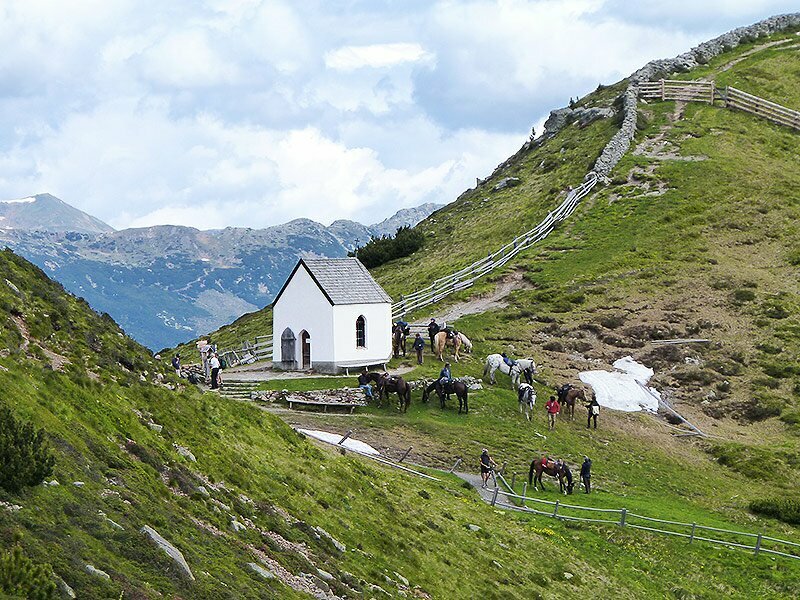 The Alpe di Villandro Pasture in the Valle Isarco Valley, situated above the city of Chiusa is a hiking paradise all year round and due to its beauty, caused one of the longest and most intensive disputes in the national history of Tyrol. 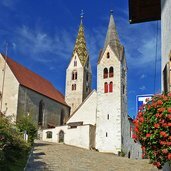 The municipality of Villandro has got some 1,800 inhabitants and is undoubtedly one of the most charming holiday destinations in South Tyrol. It stretches from the vineyards at 480 m to the panoramic Monte di Villandro at 2,509 m. Also one of the most impressive high alpine pastures of the Alps, that is to say the Alpe di Villandro, belongs to the municipal territory and provides a breathtaking view on the bizarre Dolomite peaks as well as a series of trails for families. 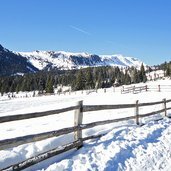 In winter, when the second largest high alpine pasture of Europe is covered by a soft white mantle, is ideal terrain for snow-shoe tours and winter walks. 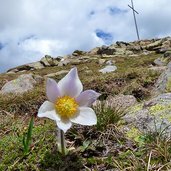 Already in late winter, the first heralds of spring attract the attention, later the blossom of plum trees covers the landscape with a white sea of flowers, before the blossom of the alpine rose blossom starts in higher realms, making hiking and mountain bike tours an impressive experience. 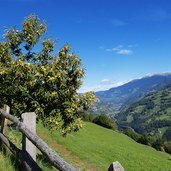 In autumn, however, we recommend you to make a walk along the chestnut trail, combined with a traditional Toerggele evening in one of the local Buschenschank. 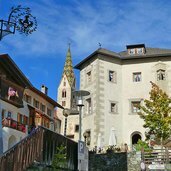 The cultural highlights of Villandro include the Archeoparc in the centre of the main village, several churches spread all over the municipal territory and the show mine of Villandro, making you familiar with the history of mining in this place.  To solemnly conclude your holidays, we recommend you an evening in the historic residence “Zum Steinbock”, hosting a gourmet restaurant. The historic jewel of S. Valentino, dating back to the 12th century, is Castel Graveccio.